This bike pic Friday, downhill skiing and fat biking do go together. 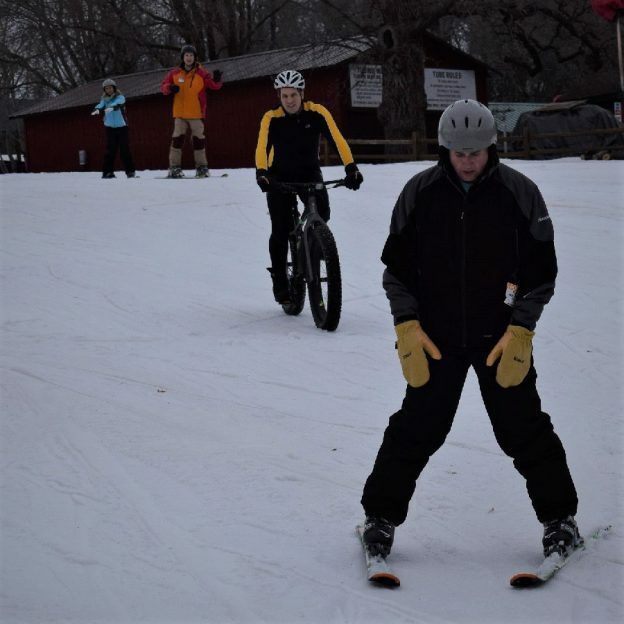 With warmer weather, this weekend prepare for some winter fat bike, downhill riding opportunities in Minnesota. In Mankato, at Mount Kato this Sunday, February 3, its Gravity Fest. Then in Duluth at Spirit Mountain its Fat Bike Sundays, now through the end of March. This entry was posted in Picture of the Day and tagged Alpine fat biking, fat bike, fat bike downhill, Fat Bike Fun, Mount Kato, Spirit Mountain, Visit Duluth, Visit Mankato MN, Winter Biking on February 1, 2019 by Russ Lowthian.